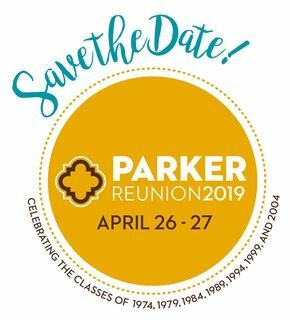 Join us to reconnect with classmates and celebrate your memories with friends and faculty at this year's Parker Reunion! Alumni in all class years are invited to the Linda Vista Campus for a fun back-to-school day, including lunch, Campus tours with current students, classes without homework with beloved faculty, coffee with the Head of School and an after school reception with current and retired faculty and parents of alumni. Find more details here. Alumni in reunion years are invited to join their classmates at a class committee organized dinner or party. Find more details about your class event here.